Quick, what’s the best way to close out your summer? 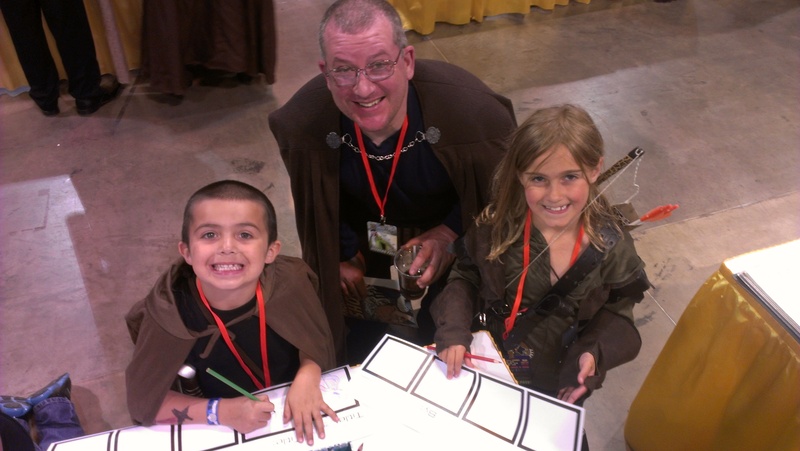 Spend it at Salt Lake Comic Con! 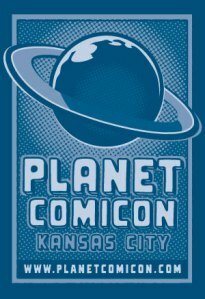 8th Wonder Press is pleased to announce we’ll be returning to Utah for the 2nd annual Salt Lake Comic Con, September 4-6! We had a wonderful time last year, meeting some of the greatest fans in the Western U.S., and we couldn’t be happier to come back and see everyone again. What’s new this year? Well, for starters we’ve got a brand new anthology, featuring 18 amazing stories by comics’ up-and-coming indies creators. 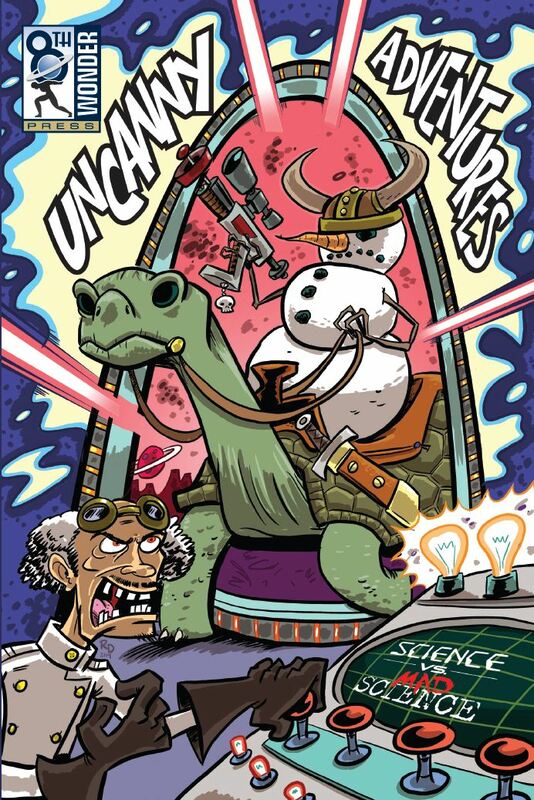 This year we’ve done a Science/Mad Science theme and wrapped it up with a great cover by Ryan (Comic Book Comics, Action Philosophers) Dunlavey! This year’s book is bigger, better, and more scientific than anything we’ve ever published! What’s old? 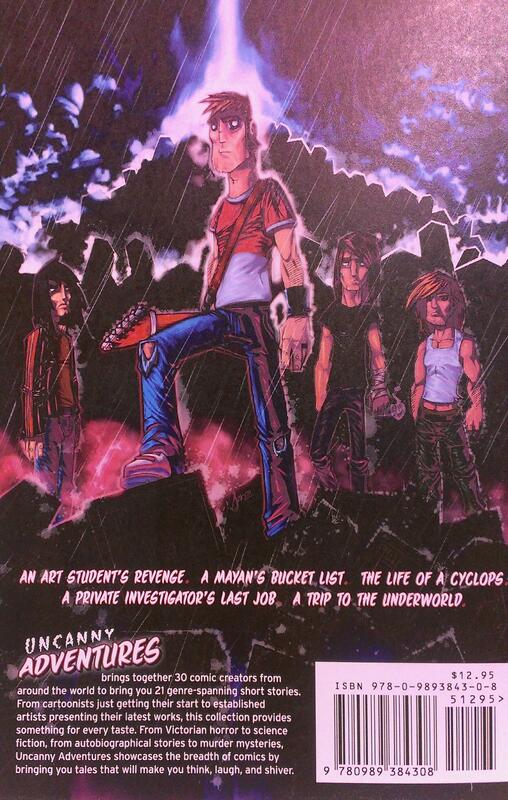 We’ve only got a couple boxes left of last year’s Uncanny Adventures anthology, and we’ll be bringing them with us. If you snag both books, we’ll even cut you a pretty great deal on the set. 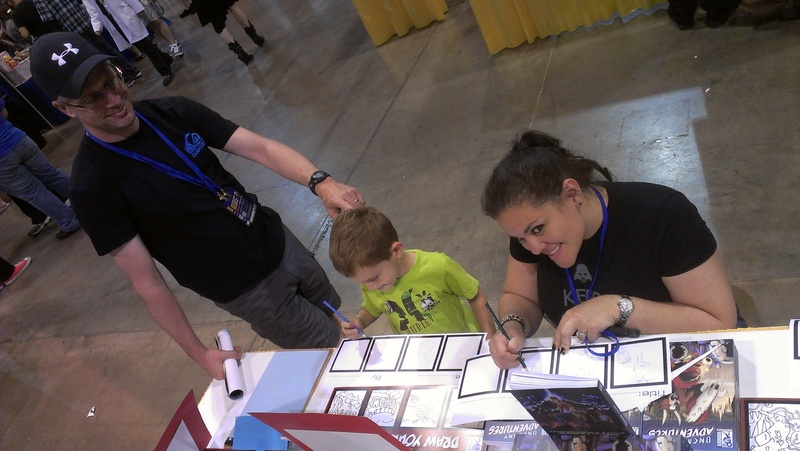 (And don’t tell the boss, but a couple will be signed by cover artist Ethan (Axe Cop) Nicolle!) What else? 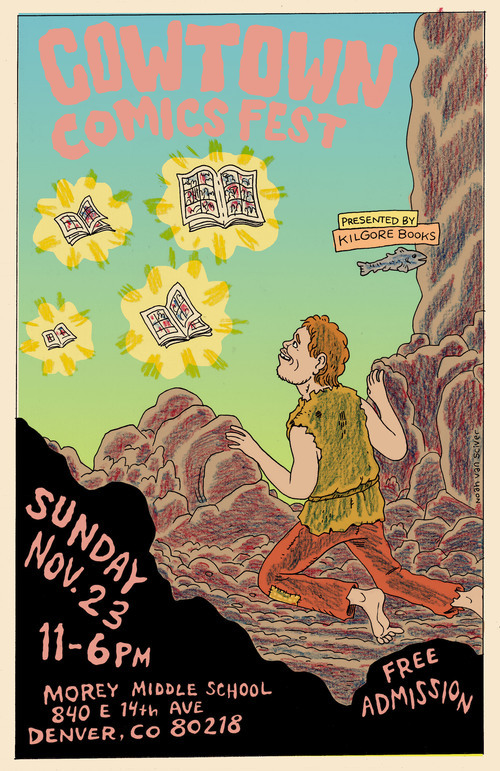 We’ll be back with our Draw Your Own Comics book, which Salt Lake sold us out of last year! And as always, if you catch our Editor-in-Chief, he’ll be (poorly) drawing cats as superheroes all weekend long. 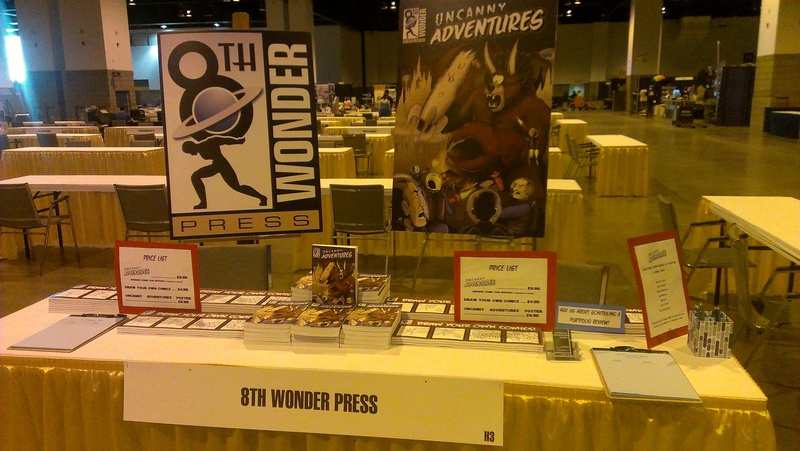 Just look for 8th Wonder Press under the giant Tri-Bear-A-Clawps banner!